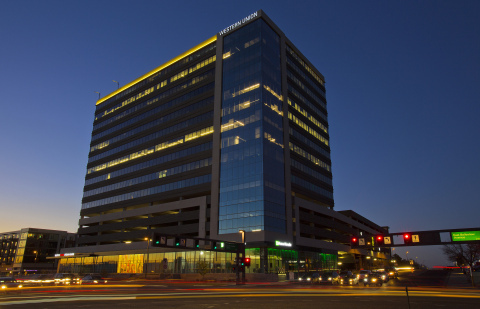 DENVER--(BUSINESS WIRE)--The Western Union Company (NYSE: WU), a leader in cross-border, cross-currency money movement, announces the completed relocation of its global headquarters from Englewood to a new, highly-visible location in Denver, Colorado. The Fortune 500 company estimates making a long-term economic investment to the region of more than USD $300 million over the next decade. Central to light rail access and other urban amenities, Western Union supports the positive environmental impact of public transit, while also making it easier for employees to commute to work and take advantage of the efficiency of working while in transit. Shuttles will transport employees between the two locations at 7001 E. Belleview Ave. and 7979 E. Tufts Ave. 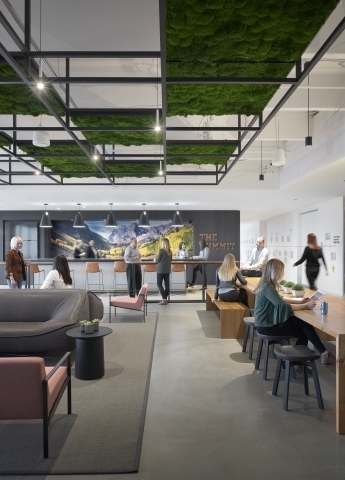 The combined space totals approximately 350,000 square feet with workspaces for the more than 1,300 employees based in Denver. The facilities have a range of upgraded features from advanced conferencing and communication technology, innovation labs, and ergonomically designed furniture, to digitally-enabled, self-checkout micro markets. Embracing the theme of innovation, Western Union recently announced that the company will work with Boulder-based Techstars, to run a mentorship-driven accelerator program and provide seed funding. The 30 early-stage international start-ups will be based out of Western Union’s new Denver-based headquarters, work closely with and be mentored by the company’s leadership team. Last year, the Western Union Foundation announced an infusion of USD $1 million in contributions to local nonprofits supporting education, including: Denver Public Schools Foundation, Junior Achievement Rocky Mountain, Emily Griffith Technical College, and Mi Casa Resource Center. Since its inception in 2001, the Western Union Foundation has provided nearly $8 million in grants to 340 non-profits in the Denver community. This year, Western Union celebrates 155 years in Denver. On October 10, 1863 the first telegraph line arrived in Denver, connecting to the transcontinental telegraph in Julesburg, Colorado. Today, Western Union’s cross-border, cross-currency platform – including a robust digital footprint, a vast global network of over half a million locations, and the ability to send money to billions of consumer accounts and mobile wallets – sets the standard for international money movement. More than 350,000 customers used a Western Union agent location in the Denver region last year, sending nearly $500 million to friends and family in 200 countries.